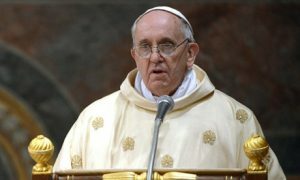 I, again, find myself shaking my head, with few words to comment on the actions of Pope Francis. He confessed to a priest. And not to his personal father confessor, but to a priest that he picked at random. What better way to demonstrate a humility of heart than to show that any priest in the world is qualified to hear the confession of the Patriarch of the West, Pope Francis? 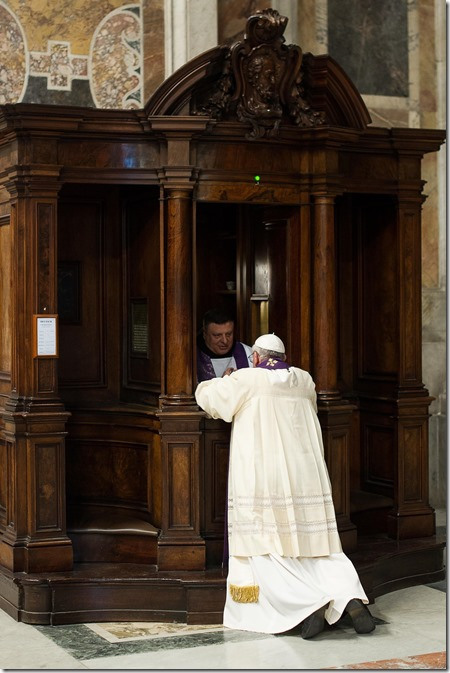 The pope was presiding at a service intended to show the importance he attaches to the sacrament of reconciliation, commonly known as confession. After reading a sermon, he was to have gone to an empty confessional booth to hear confessions from ordinary faithful as some 60 priests scattered around the huge church did the same. His master of ceremonies, Monsignor Guido Marini, pointed him toward the empty booth but the pope went straight to a another one, knelt before a surprised priest, and confessed to him for a few minutes. He then went back to the empty one and heard the confessions of a number of faithful. I, again, find myself shaking my head, with few words to comment on the actions of Pope Francis. He confessed to a priest. And not to his personal father confessor, but to a priest that he picked at random. What better way to demonstrate a humility of heart than to show that any priest in the world is qualified to hear the confession of the Patriarch of the West, Pope Francis? What better way to encourage confessions than to confess in view of the public? Humility and repentance is to take the chance that your words of confession may be overheard and then may be passed on to others. Only the person who is secure in Our Lord Jesus Christ is able to confess not caring whether his words are overheard. 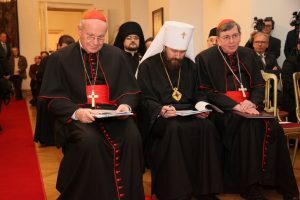 Again, I realize that while the Orthodox Church may be the Church, that this does not mean that it holds the patent on humility, on love, and on repentance. 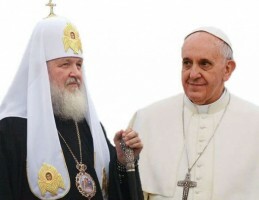 Pope Francis need not bow his head before any Orthodox. Nor, at this point, should any Orthodox dare to criticize him on his behavior. His doctrine may be wrong at points, but so, probably, are some parts of our personal theology. Yet, if he keeps this behavior up, when he stands before the Great Judge, that judge will say, “His master said to him, ‘Well done, good and faithful servant. You have been faithful over a little; I will set you over much. Enter into the joy of your master.’” May the Great Judge say the same over me when I face him in that great and terrible day when all my sins shall be known, and I can only rely on the love of Jesus Christ for me. This Lent, I look at the photograph of what Pope Francis did, and I shudder. Would I have the courage to confess, not caring if I were to be overheard? Am I really repentant and humble? Am I willing to say that changing my life to grow into the image of Christ is so important that I do not care who knows my sin, provided that I receive forgiveness in order to keep on growing? Thank you again, Pope Francis, you have pierced my heart fully and completely. I am undone. I am ready to reflect more on my journey to you, my life-long Lenten journey to you. May I be more like Pope Francis someday.